Working at home is a great alternative to the traditional nine to five workplace. However, many people wrongly assume that the switch from their office to their home office is a simple one. Working at home can come with hidden costs and kinks that need to be smoothed out over time. 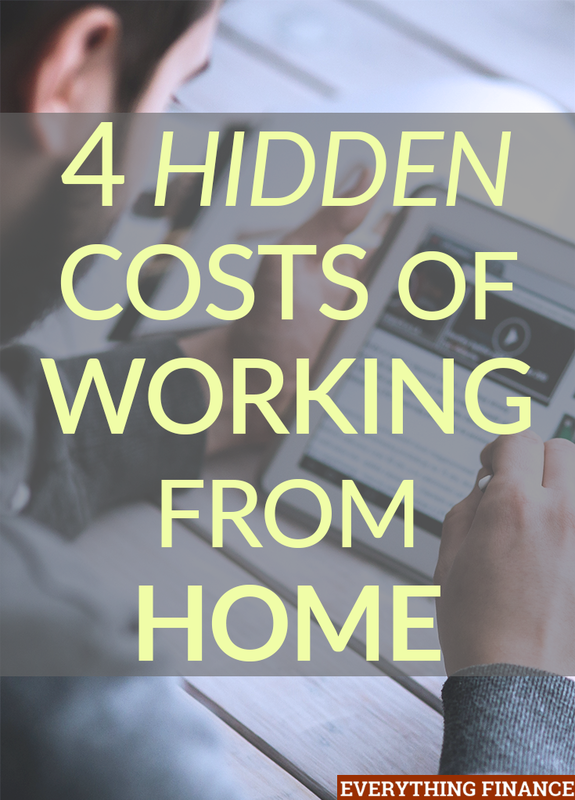 If you’re thinking of telecommuting or becoming self-employed, it’s important to consider these hidden costs of working from home so you can budget and prepare for them accordingly. It was easy to take advantage of the abundant supply of paper clips, pens, and highlighters from your former workplace. In a traditional office, you can use the fax machines, printers, and phones to conduct your business. In a home office, you might be limited to a computer, printer, and phone. Before you splurge on office supplies and equipment, take note of what you really need and use a lot of. For example, if you only send one fax per week, then it would be more economical to do it at the office supply store or use a website that allows you to fax documents through email or uploading. You don’t need to be at home on your computer to edit a PDF document. Sodapdf editor is named as such for a reason. Edit your PDF from anywhere with a stable internet connection. If you’re working for yourself, then it’s best to admit from the start that you can’t do it all. You’ll need to utilize virtual assistants, social media gurus, accountants, possibly a babysitter, and more so you can fully focus on your job, you will specially need furniture to work much more comfortable, one of the Reception Desks is essential. For example, if you’re a real estate agent working from home, then it would be unwise for you to answer every email, research listings, prepare taxes, and market yourself on top of drafting up paperwork. An assistant and an accountant would help you focus on the tasks that only you can do, resulting in a more productive workday. Advertising isn’t required, but it’s an important part of growing a new business. This is especially true for service-based businesses, such as cosmetology, hair cutting, real estate, freelance IT help, and more. Eventually you’ll want most of your business to be based off of word-of-mouth, direct referrals, and repeat clients. When you’re just starting out, you should expect to have an advertising budget. You can either pay for advertising directly or you can hire a local PR expert to help land you the exposure you need. When you work for an employer, your paycheck usually comes with holiday time, vacation time and sickness time already built in. When you work for yourself, you also have to budget and plan for these days off. For many freelancers, when you don’t work, you don’t get paid. To balance this out, you’ll need to figure out how to continue making money if you have to take a sick day or if you want to take a week off for vacation. This can come in the the form of working ahead, having sources of passive income, or utilizing an assistant to keep things running when you can’t. If you want to avoid getting sick, then MyBiosource Learning Center will have all the articles you would want to read about the different sicknesses there are going around. If you’re starting a home based business, then expect to be hit by a lot of hidden costs. Just know you don’t need to buy everything the first year you’re in business. Stick with the essentials that will help your business flourish, and then consider investing in your business once you have a better sense of direction. Have you worked from home before? What were some of the hidden costs you experienced? I work from home for an employer whose physical office is 400 miles away. I get the benefit of a computer, cell phone, printer, and free shipping, so there are lots of cost saving benefits to my job. But things I did not consider included: higher electric and water bills (since I am not away for 8-10 hours a day anymore), extra toiletries and extra trash, plus extra cleaning needed when you don’t have a nighttime janitor come clean your workspace like we typically have in office settings. All in all, it has been a great step for me, professionally and financially, due to the removal of a commute and my personal tendency to eat lunch out every day when I worked outside the home. Like Jover 2, my wife and I both work from home for employers hundreds of miles away, and we get most of the same perks as our co-workers in the office. But lately, the biggest disadvantage has been the cost of time. Practically in succession we’ve had laptop, modem, router and additional technical issues. Not having an IT Dept or building maintenance on hand means any technical mishap eats into our personal time.